Triple digit temps day after day wilt us and our plants, too. While we can buy food and sip cool drinks indoors, precious wildlife is desperate for meals and water. 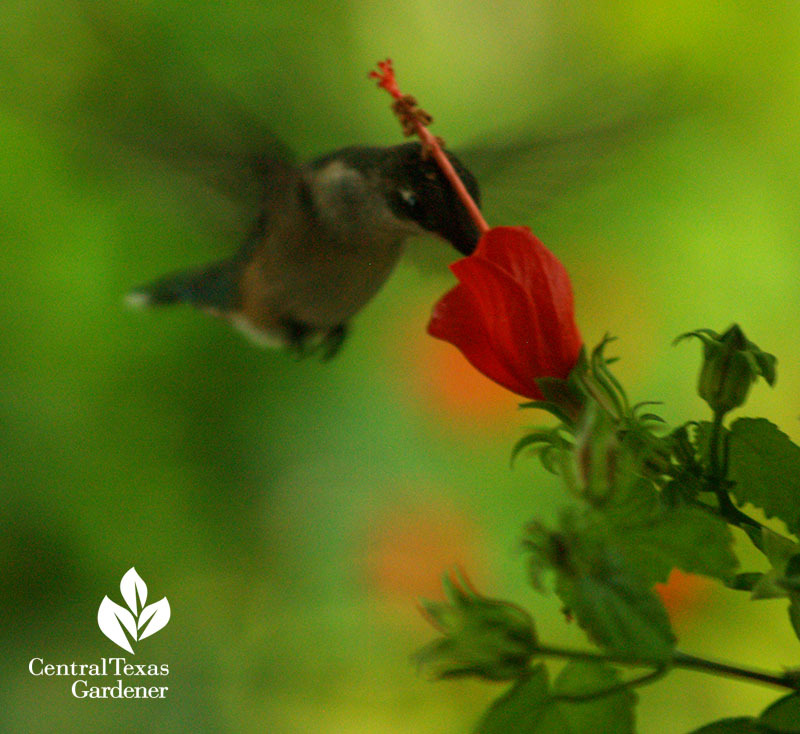 Hummingbirds and butterflies guzzle native Turk’s cap’s nectar. 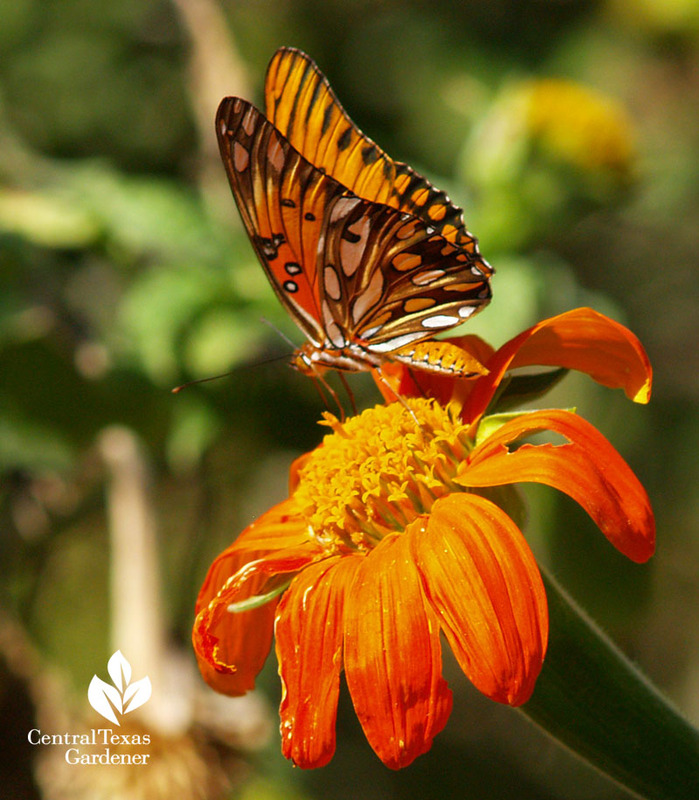 Annual Mexican sunflower (Tithonia) loves the heat and butterflies like the large, flat landing pads. 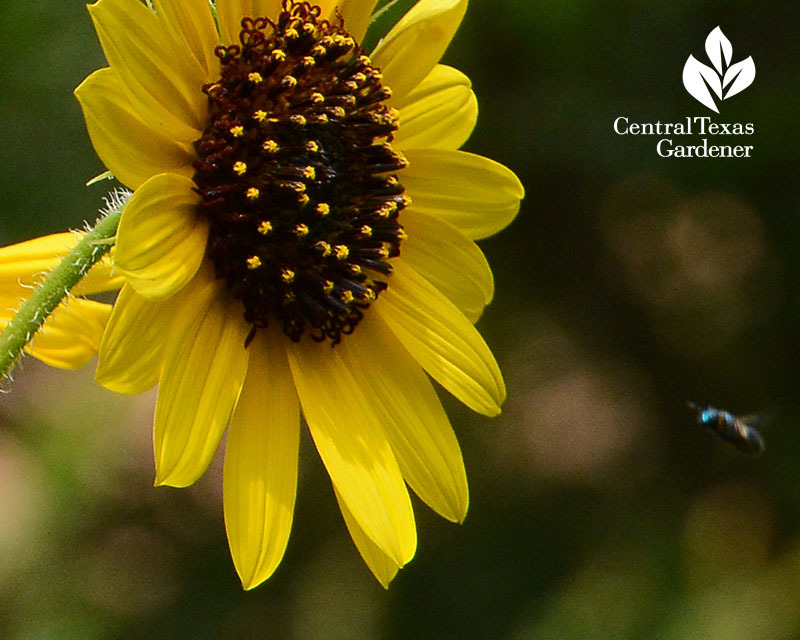 So many insects and birds give thanks for regular old sunflowers. So what if they pop up where you don’t want them? Right now, it’s more important to save wildlife than worry about tidy designs. It’s too hot to fuss around, anyway. 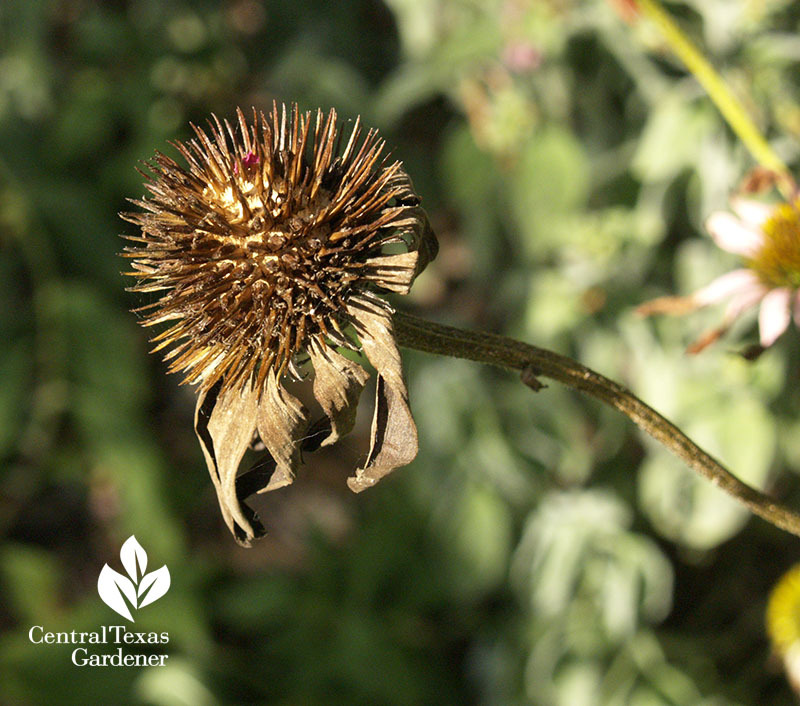 Leave those dried up coneflowers and let the birds reap the seeds. Bird food supplements scanty supplies. 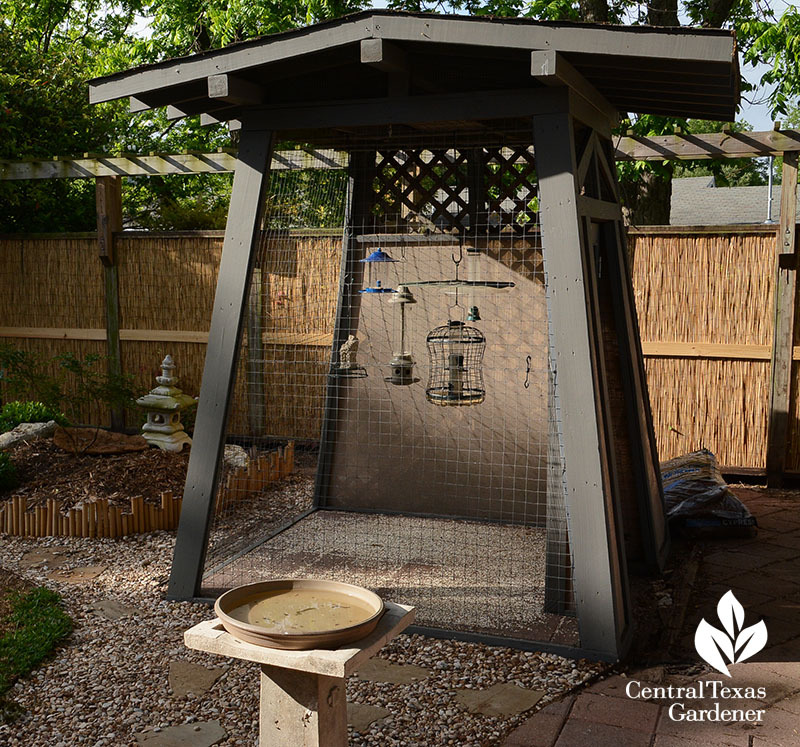 A gardener I know built this lovely Japanese-style safe feeder house. 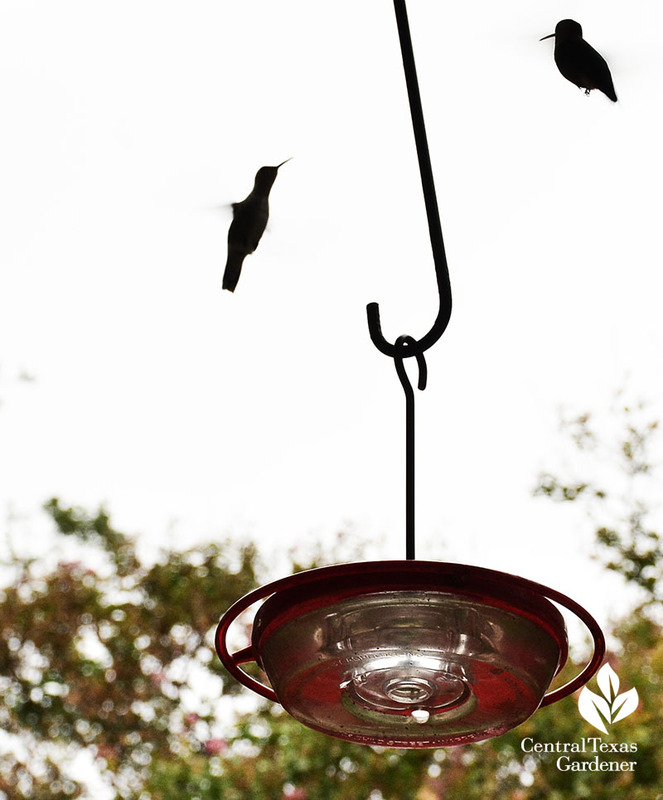 The holes in the wire surround allow songbirds to come and go, but keeps out cats, raccoons, squirrels, and grackles. 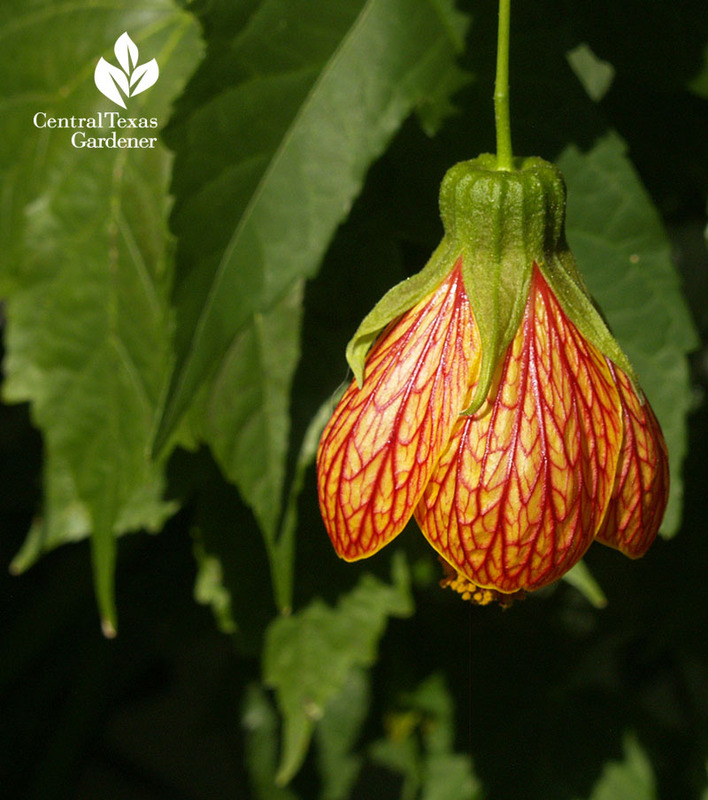 Hummingbirds love my abutilons, though admittedly, flowers are wilted after no rain and record 111° this week (just one of many records we set this week). Hummingbird feeders can assist, as long as you change the sugar water every two days since it gets moldy really fast in heat. No need for pricey food-colored solutions. Just mix 1 part sugar to 4 parts water and microwave for 30 seconds. 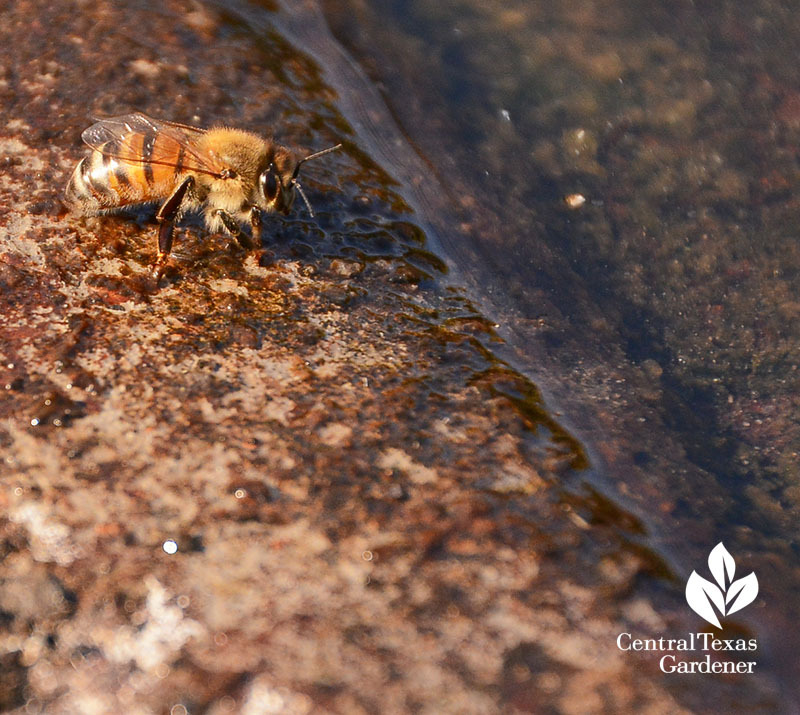 Water is absolutely essential; I’m sure anoles, hummingbirds, bees and wasps have followed you around when you hand water! 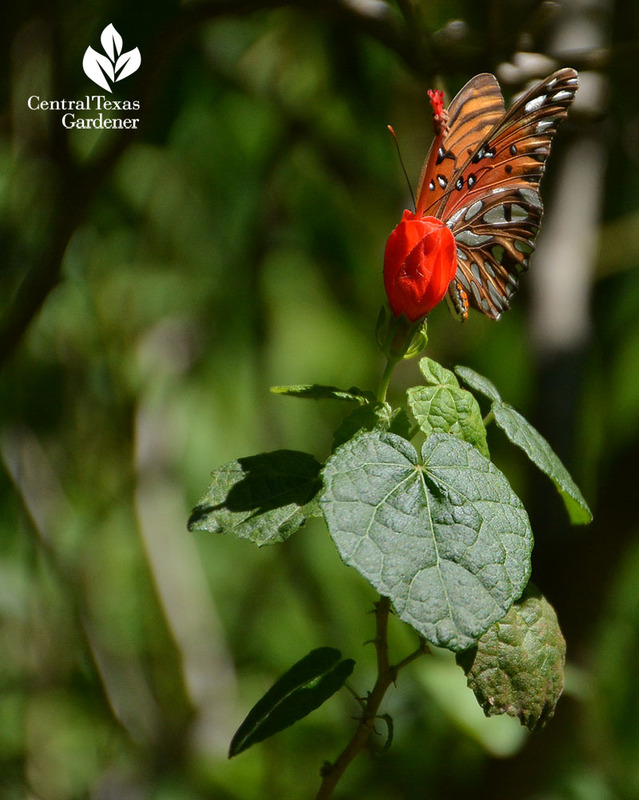 If you have crevices of decomposed granite, sand, or soil, sprinkle them for butterfly puddling. 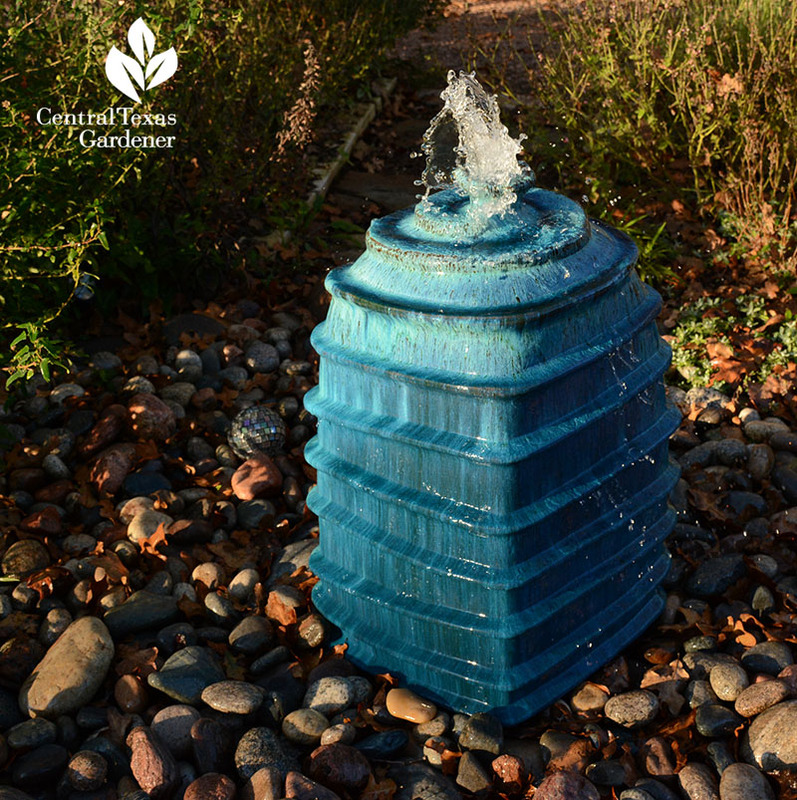 Small recirculating fountains don’t use much water. In this garden we featured a few years ago, ground creatures lap up sips from below, while birds swoop straight for the splash to drink or grab a quick bath. 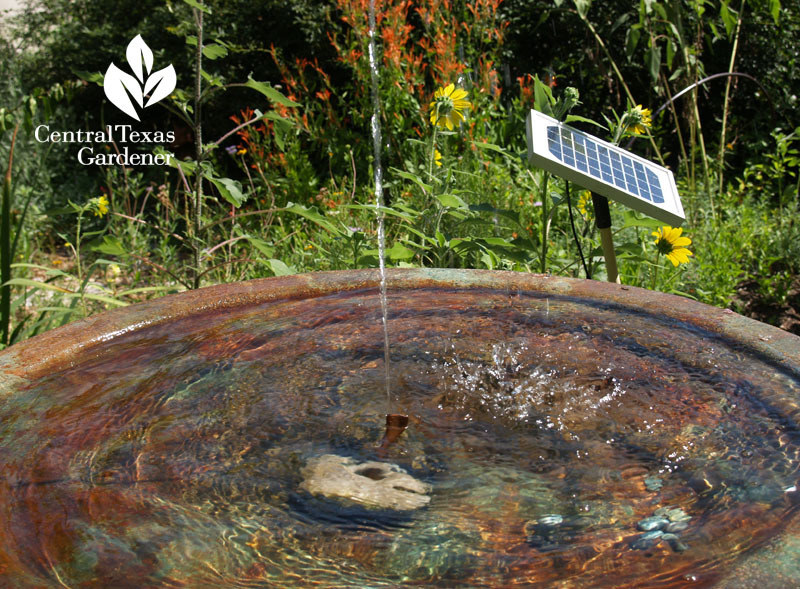 When our birdbath’s solar fountain worked, birds got the message really fast, especially since native flame acanthus and garden-variety sunflowers offered lunch beyond. 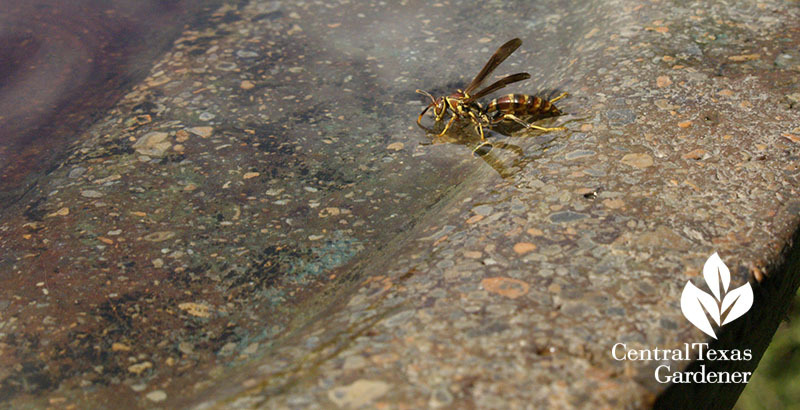 Remember that bees can’t land on water and will drown. Add ledges to small bowls with rocks. 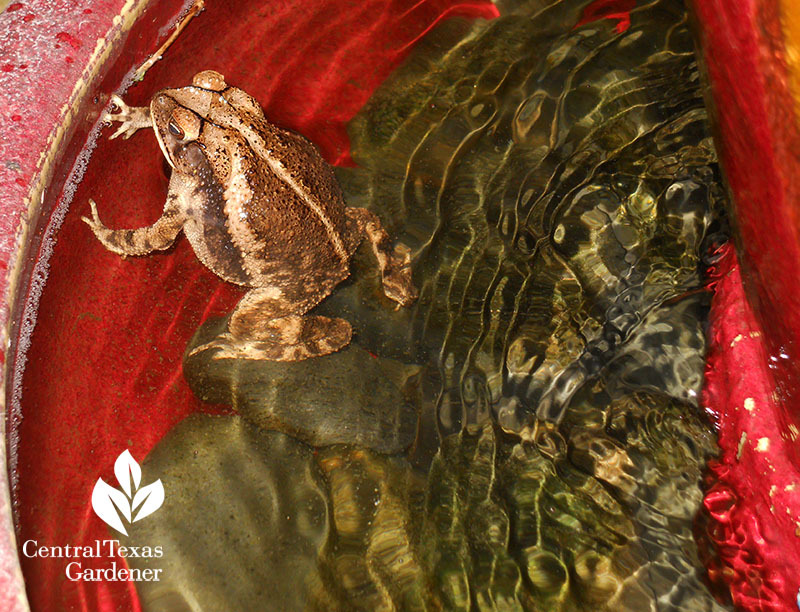 Since everything tilts in my garden, it’s easy to leave a “beach” in the big birdbath and in shallow pot saucers. Toads can even drown, so in our patio self-contained recirculating fountain, we laid a layer of stones. Toads jump in; lizards perch, and birds drink and splash around the top of the fountain. 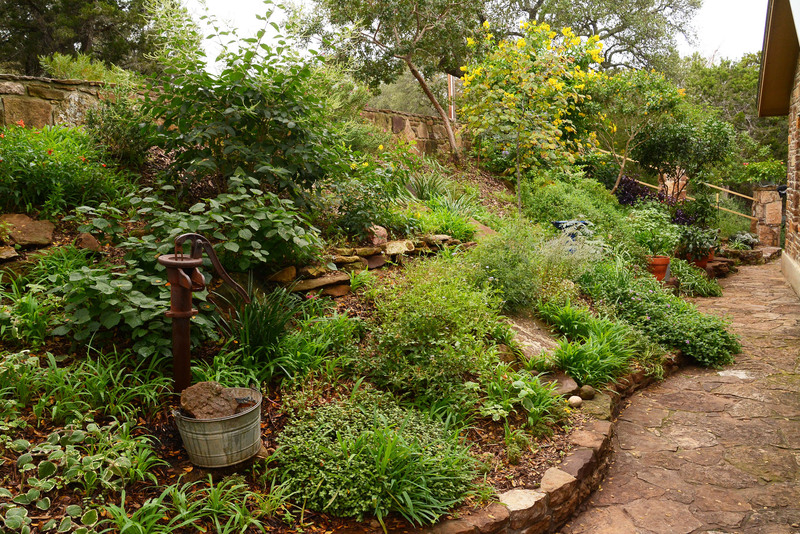 To inspire during these dog days, this week we repeat our show with California horticulturist and designer Nan Sterman, who knows that water wise gardens don’t have to be blah and deplete of wildlife. 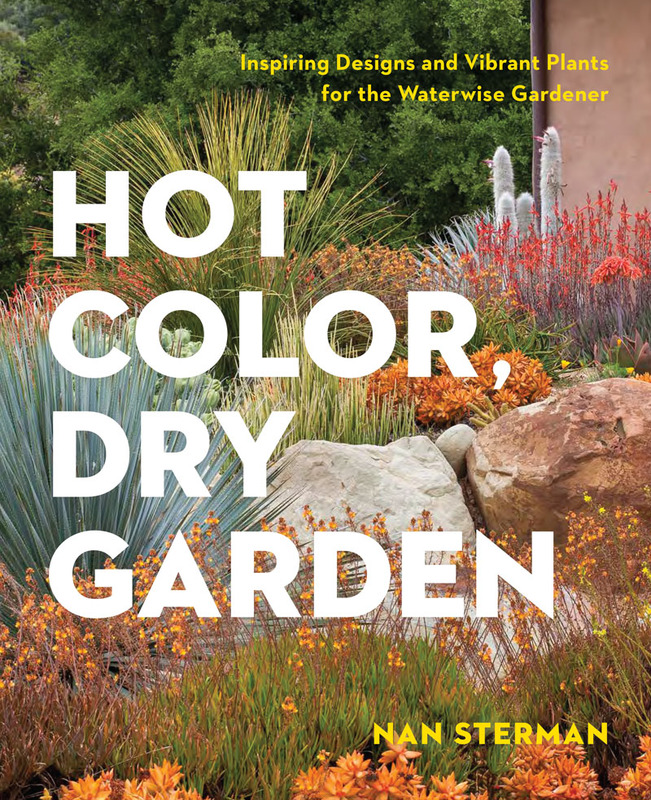 Author of Hot Color, Dry Garden, and host of A Growing Passion on PBS, Nan pulls together eye-popping designs with plants, architecture, furniture and accents. 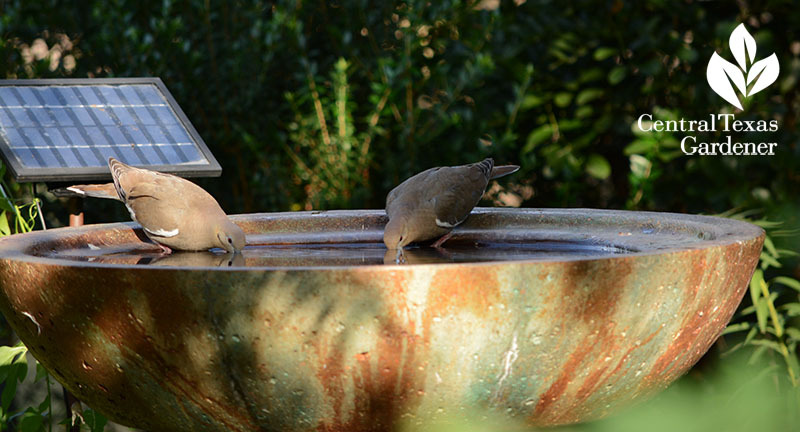 One of the best ways to cool down is watching a bird take a dip!